Here is an apparently simple question — Why are Mac sales and market share increasing when Windows PCs are so gosh darned cheap? Well, the obvious answer is that Mac buyers are religious zealots willing to pay any price. But that “explanation” really doesn’t wash.
Needham & Company analyst Charlie Charlie Wolf has noticed something strange. Specifically, even as average selling prices for Windows PCs have plummeted, Mac sales and market share have been steadily increasing for years. This chart shows Apple’s share of the overall PC market. However, Macs account for over 90 percent of the high-end (ie +$1,000) segment, which is where nearly all of the profit is, as well. 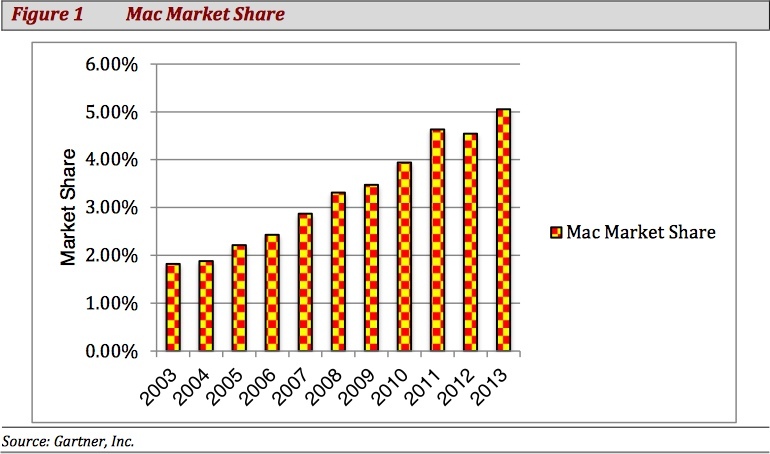 In fact, he says, Macs sell for an average (~$1,300) of $700 more than the average Windows PC (~$600). In a nutshell, a reasonable person could buy two Windows PCs for the price of a single Mac. What kind of people pay a price for products that violate the “laws of economics”? Religious wackos (aka Mac users) come to mind. However, while that might seem like a satisfying explanation to rabid Apple haters, the facts don’t support that conclusion. For example, Mac users aren’t just paying more computers, but pretty much everything else they buy, as well. That is, they prefer quality products and quality shopping experiences, and are willing to pay for it. Yeah, you can get a good and cheap t-shirt at Walmart, but the customer service and checkout experiences leave much to be desired. Similarly, people with higher education and incomes (ie rich people) really love the iPhone — price, display size and arm-length feature lists don’t factor for people in the upper classes. What’s it all mean? 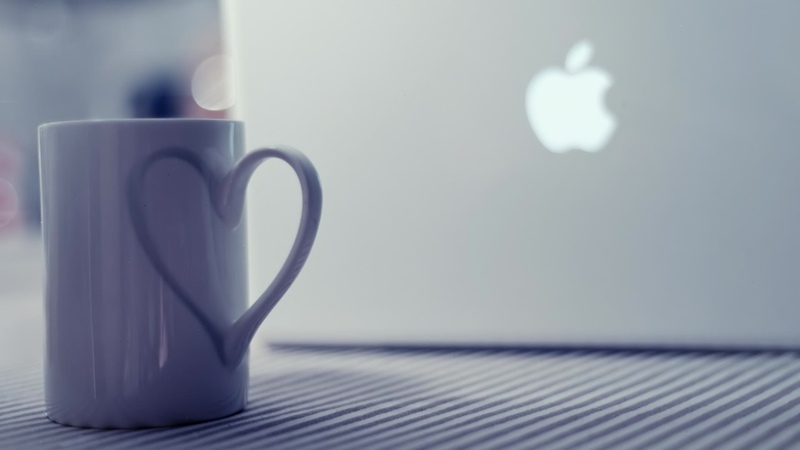 People with more education and income prefer Macs and iPhones.